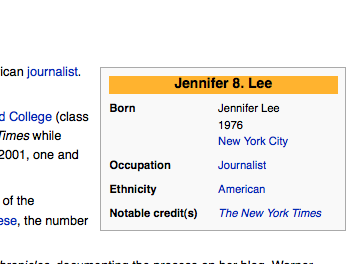 Someone changed my ethnicity on Wikipedia to "American." Is that an ethnicity? to the box and saw that my ethnicity had been changed.